Is it possible to set a company wide auto responder in Google apps for business Gmail? 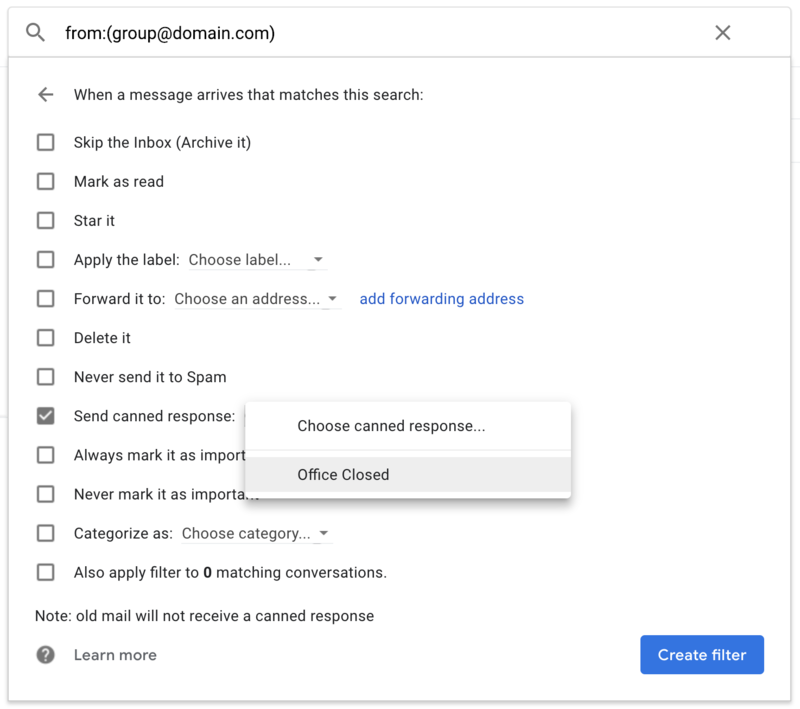 For instance if the office is closed for a set date range I would like to set an auto responder for all emails, but ideally I don't want to have to set them manually on each email. A Group does not have this feature directly. You will need to use a user account that is a member of that group which has posting permissions and receiving all messages. Then you can set a canned response on those messages. Not the answer you're looking for? Browse other questions tagged gmail google-apps g-suite or ask your own question. Can the administrator download/mirror everyone's email from Google Apps for Business?